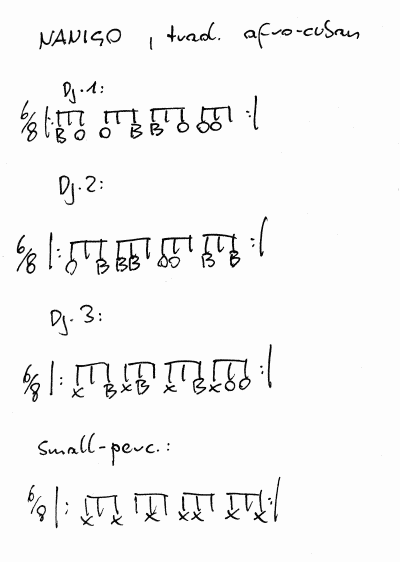 For an explanation of this see my page Explanation of rhythms' listing. 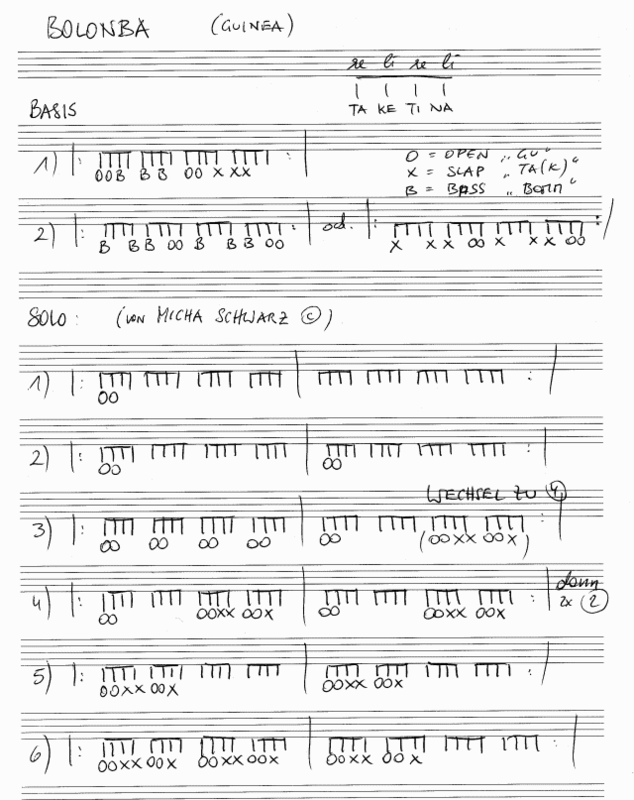 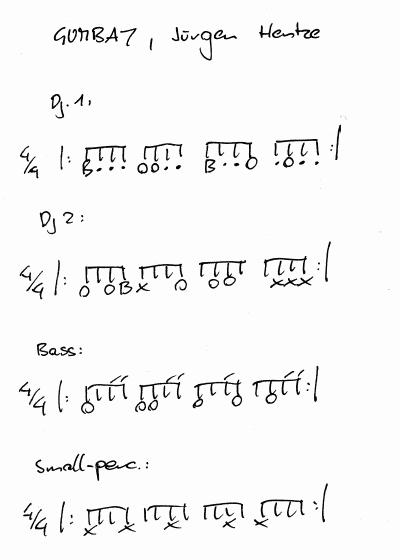 To get a more detailed view of a rhythm click on its title. 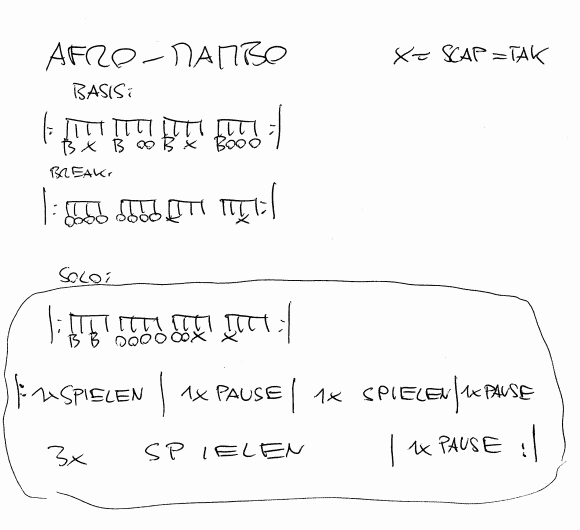 Since, I have modified and added this and that, in case of any errors or oblivions the only one to blame is me. 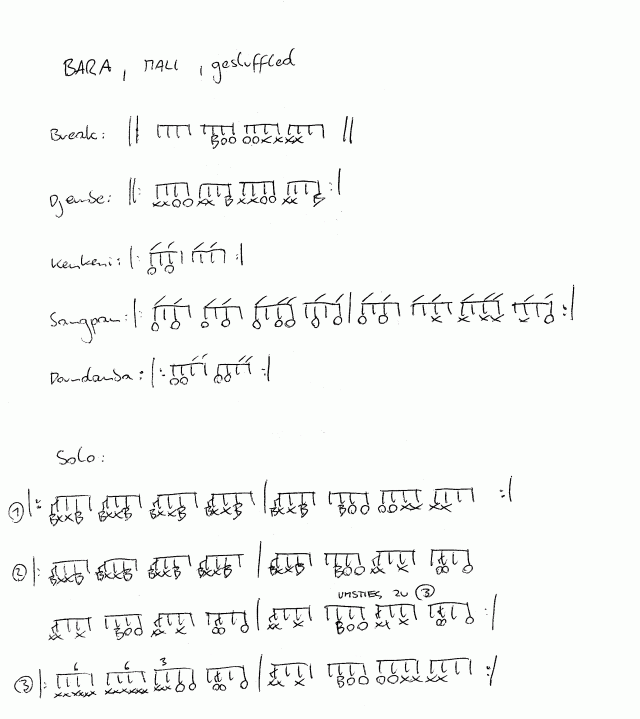 Note: There is also a binary (4/4) version of Kakilambe. 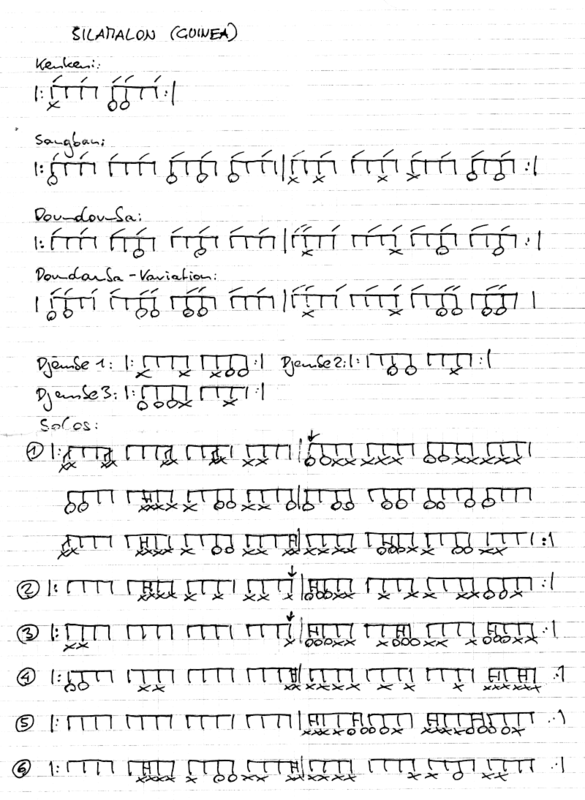 See drums.org for a discussion of its roots. 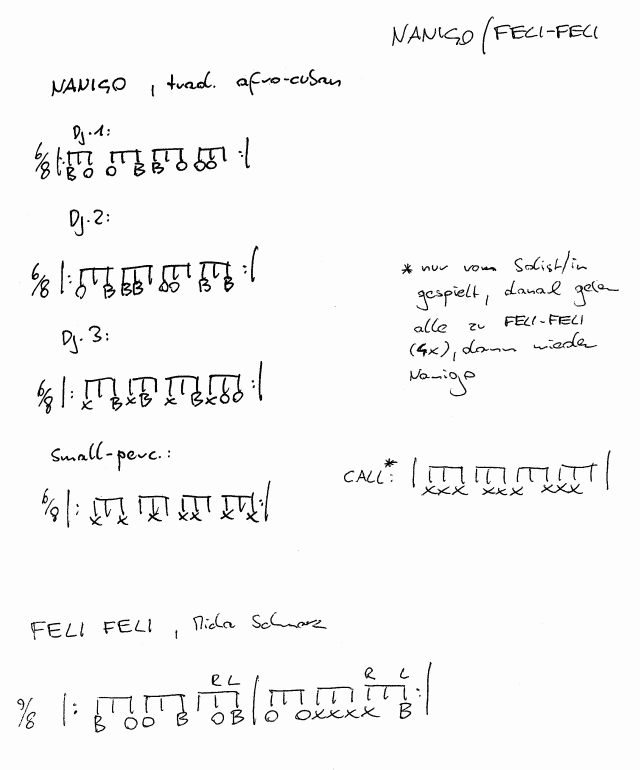 Note: Nanigo is often played on Congas. 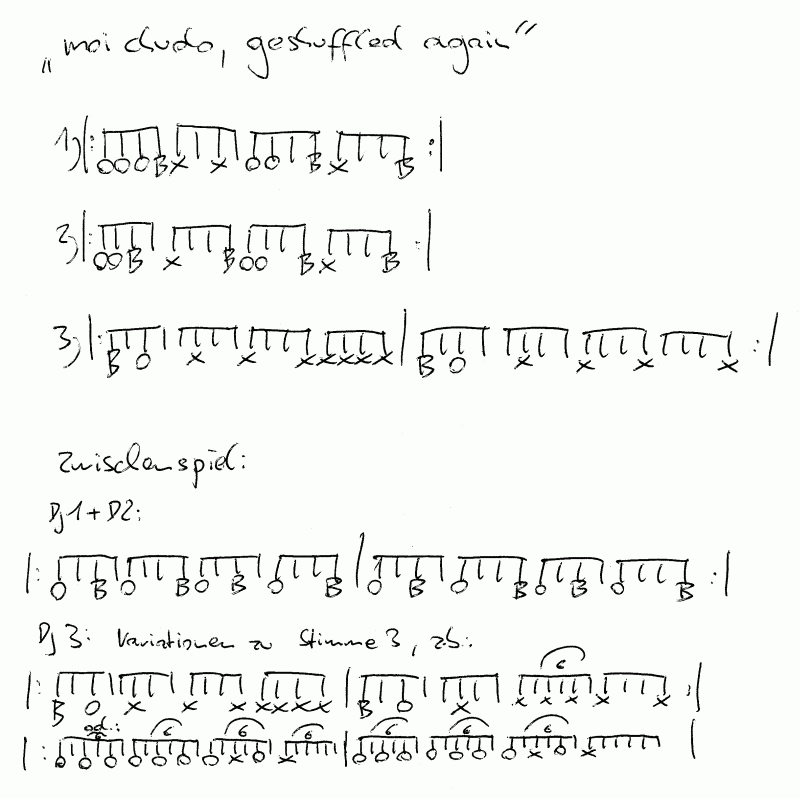 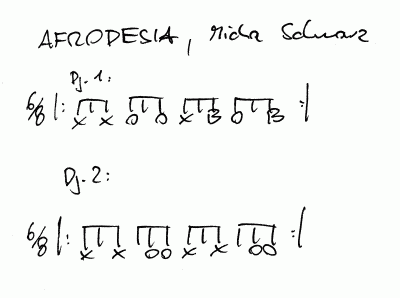 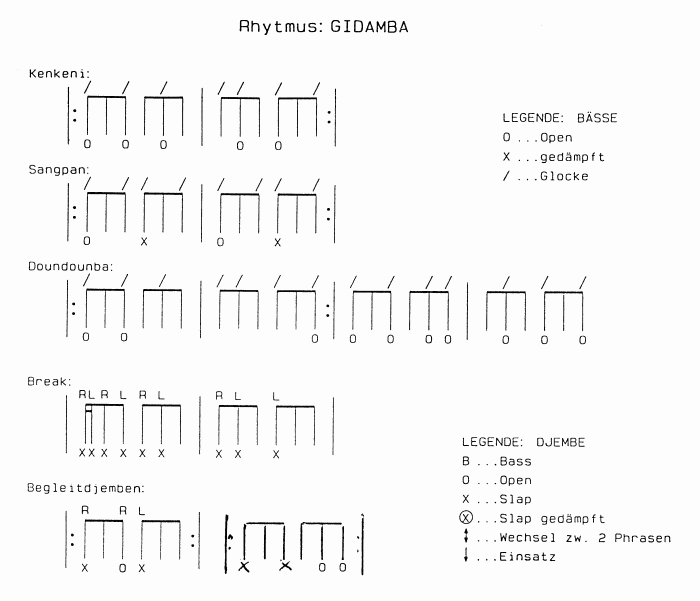 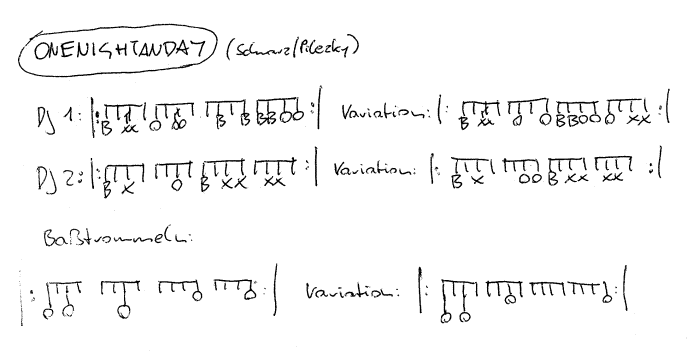 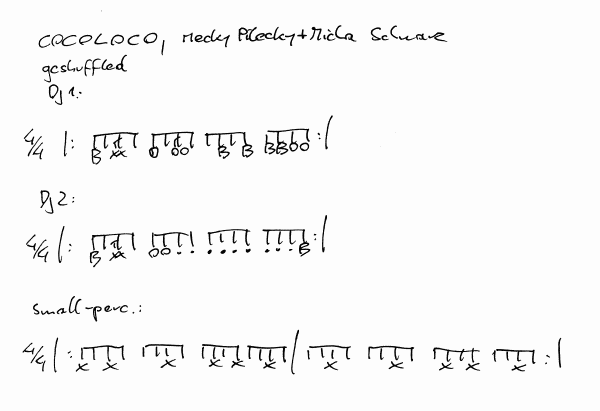 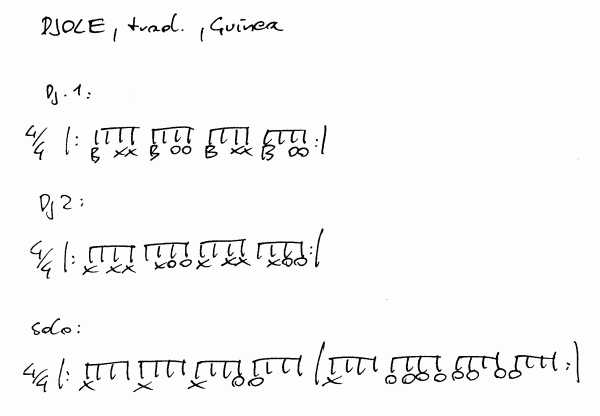 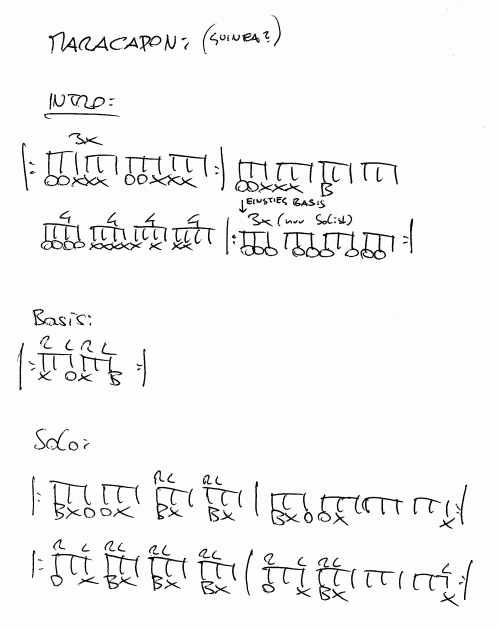 There is also a list of my own rhythms for Djembe and other hand drums. 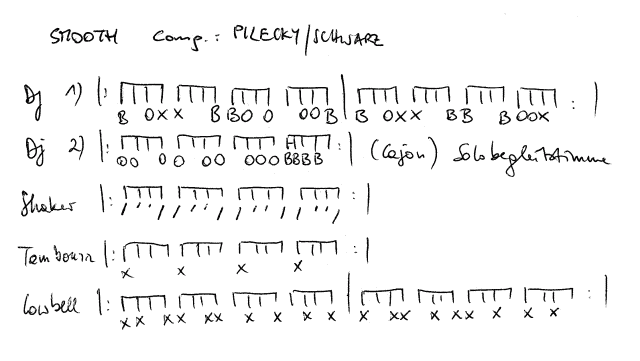 To produce your own MIDI rhythm files you may want to try Jean Vaucher's great MIDI Rhythm Generator. 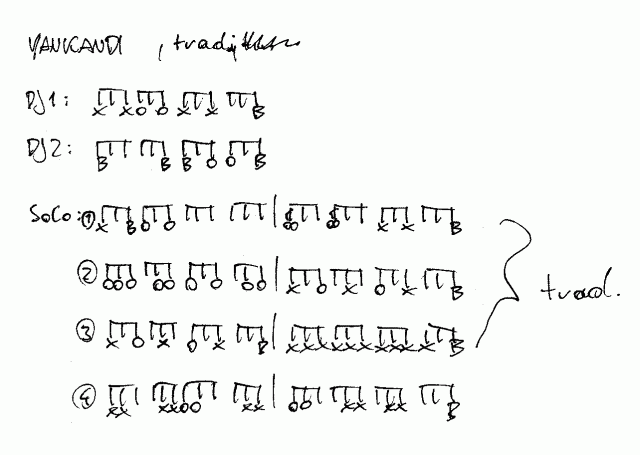 I have also set up a local mirror of Jean Vaucher's generator here at Vienna University of Technology.